Its the hell war in the rings and the face to face fight in wrestling box. Welcome to Pro Wrestling. It is time for fight and wrestlers power in the rings. Get ready for extreme tag team wrestling combination of two players which will be switched with one player got tired, each individual has their own special power skill which may smash the hulky rivals to the ring floor. 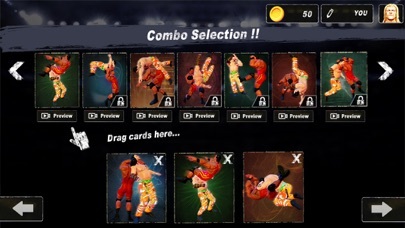 Use your hand and simulate your favorite PRO wrestlers of the world having epic and brutal action packed powers. The ultimate ring fighting game of 2019 “PRO Wrestling” the simple use of the game will engage you more and more, play levels and earn coins, your rival power and strength will be upgraded so you have also to push up your hero powers. Smoothness and gameplay are the things every gamer want in a good game and here that’s all! FEATURES: 1. Ring wrestling like real 2. Smooth gameplay 3. HD graphics 4. High Polly 3D models 5. Real look animations 6. Realistic physics 7. Cut scenes 8. Shows special powers 9. Ultimate Combat counter Attacks 10. 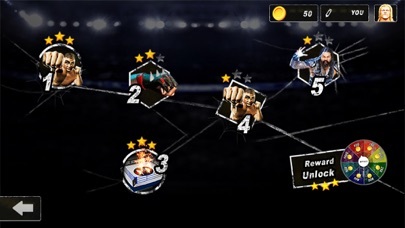 Punch, Upper Kick, Lower Kick, Stars Shows Everything is in it, download the best wrestlers game of 2019! Play, Enjoy and don't forget to give feedback! This game is amazing but has a lot of ads! A kid wrestler fan will love this!!!! When I saw the game I was like “this is going to be like wwe with all the characters” I thought it would have undertaker and John cena or the rock/Dwayne Johnson there was not! This game is terrible, the graphics and animations are horrible, it’s not worth your time. The preview images wants you to believe that it’s a wrestling game but it’s not. It feels and plays as a boxing game. You don’t have free customizability of your default character, you don’t have any moves. Everything is locked and you have to pay to get access to any moves off the bat. It’s a scam and I’m not buying that at all. This game needs a patch or more development time. Why is this game on the top charts it’s such poorly made and doesn’t even have any ratings, why is it the #2 free game as of writing? By this game use to be fun..
For some reason it’s become A tag team game... and you can’t tag. Lame gameplay. only punch/kick and infrequent actual wrestling moves. You have to buy your way thru the game. Terrible 2.5 d graphics. Save your money this one stinks. It was hyped up for no reason once so every the physics are terrible I’m sorry but u guys shouldn’t waste ur time.